Revaleskin is a professional range of anti-aging skincare products available through physicians only. With an antioxidant blend of fruits and spices, Revaleskin is a clinically proven antioxidant solution to help defend against and repair the signs of skin aging for more youthful-looking skin. Revaleskin offers anti-aging regimens by skin type that target hydrating, brightening and rosacea/sensitive concerns in four easy steps: Cleanse/Correct, Correct/Hydrate, Rejuvenating (weekly) and Perfect/Protect. Antioxidants are an important consideration when it comes to skin care. 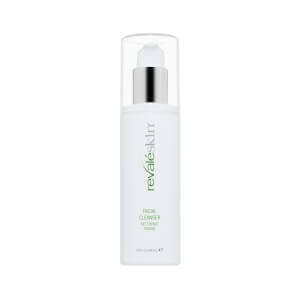 They can help rejuvenate tired or damaged skin and work to protect your complexion from future damage. By purifying your skin and building strong protective barriers, antioxidants can help keep your complexion healthy and vibrant for the long-term future. If you are hoping to maximize the effect of antioxidants in your skin care regimen, consider adding Revaleskin products to your routine. 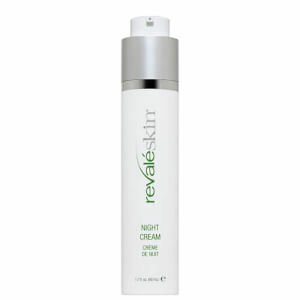 Revaleskin products also work to protect your skin against future damage. These formulas are designed to provide an additional barrier layer, minimizing the impact of future free radical damage and exposure to your skin. Revaleskin products can help rebuild your skin and defend your cells against future damage. Products in this line contain high-quality ingredients such as vitamin E, aloe vera, algae extract, and other hydrating compounds. In order to get the most out of Revaleskin's benefits, structure your skin care regimen around this top-quality line of products. Revaleskin offers a wide range of cleansers, moisturizers, day creams, night creams, and other antioxidant-rich products to give you the complexion that you have always wanted. When ordinary over-the-counter beauty products no longer deliver the results that you want for your skin, it is time to switch over to professional-grade formulas that produce exceptional results with their proven solutions. Containing the highest quality of ingredients, the full collection of Revaleskin Products is rich in powerful ingredients known to minimize the signs of aging, while also protecting against future damage. Your skin looks and feels younger after regular use of these skin-healing solutions that contain Polyphenol Antioxidants, Ferulic Acid, Quinic Acid, Chlorogenic Acid, and Condensed Proanthocyanidins. Suitable for all skin types, Revaleskin Products have been clinically tested by dermatologists to determine their efficacy. The complete selection of Revaleskin Products is designed for women who care about their skin. Please browse through the collection and see what formulas they have to offer for the encouragement of younger looking skin. Offering the benefit of combining nature with science to create gentle, highly effective, anti-aging formulas, the full collection of Revaleskin Products delivers nonirritating, non-comedogenic solutions for the reduction of free-radical damage on the skin. When your skin needs tender, loving care, Revaleskin Intense Recovery Treatment could be just what you are searching for as far as relief for tired skin. 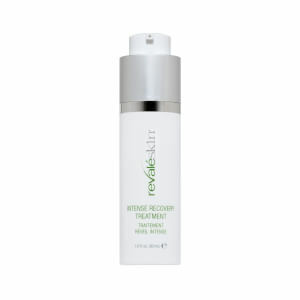 Containing licorice extract, it reduces redness, leaving your skin looking and feeling calmed. As it stimulates collagen production through its use of peptides, this high performing solution also reduces the appearance of wrinkles, creases, and fine lines. The natural antioxidants included in this formula protect your skin against free-radical damage, safeguarding your skin from signs associated with early signs of maturing. Regular use of this product leads to a more even skin tone. 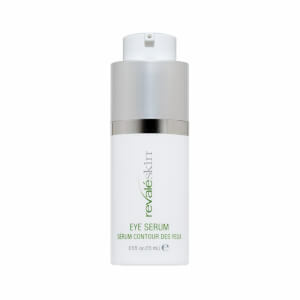 Revaleskin Replenishing Eye Serum offers antioxidant protection against free radicals, aiding in the reduction of the appearance of existing wrinkles and fine lines. This rejuvenating eye cream minimizes the puffiness of your eyes, improving your appearance and taking years off your age. Collagen production is stimulated through the inclusion of peptides in this powerful formula.